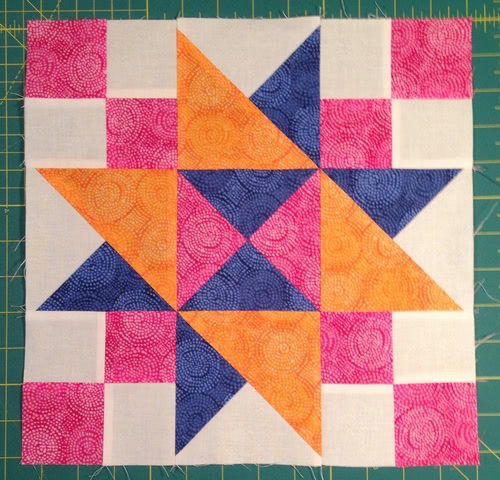 The Star of Hope is a 12" finished pieced block. The tutorial includes quick piecing methods to make the four patches, split-quarter-square and quarter-square triangles. This is one of 12 blocks being created as part of the Between Heaven and Texas blog hop featured on the Quilting Gallery site. This Star of Hope Block designed by Michele Foster, The Tutorial is available for free.